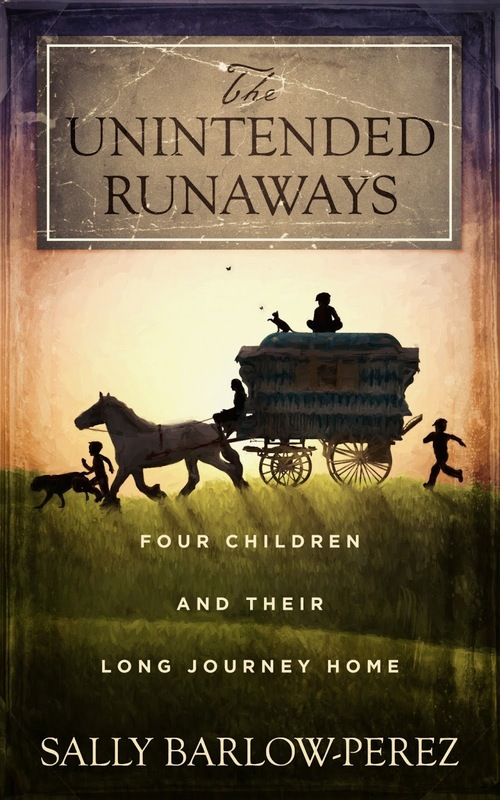 I was about 18 months and 20,000 words into my middle grade novel, The Unintended Runaways, only then, it was called, Lia’s Journey. It was starting to lag. I worked in the afternoons and my mornings seemed to be getting shorter and both my writing and my psyche seemed uninspired. Furthermore, my weekly library runs --which included checking out several YA and MG titles—were getting depressing. Egads. I was surrounded by vampires, werewolves, factions, scorched planets, sixth-grade love stories, and teenagers with super powers! And here I was writing a novel set in 1850 that read more like something written by Frances Hodgson Burnett than Rick Riodan. Was it too late to change my setting from rural England to Transylvania? Could Lia morph from orphan to shapeshifter and could her gypsy wagon become a mysterious black hearse? “Nope. Too Late,” I told myself, as I dumped my armload of library books on the couch, wishing I could bury myself in the latest Lee Child thriller and not go back to the computer. No point in second guessing myself when a glance at some of the more ancient books on my crammed shelves might suggest why my unfinished novel had a 19th century flavor: Because it was an era I loved. So shoot me. I was born a hundred years too late. Sure, everyone’s read Heidi, Treasure Island, Hans Brinker, and Anne of Green Gables. And maybe the Jungle Book, Peter Pan, The Secret Garden and Rebecca of Sunnybrook Farm. And probably The Little Princess, my all time favorite. But who else has heard of Daddy Long Legs, The Railway Children, Girl of the Limberlost, The Birds’ Christmas Carol and Amarilly of Clothes Line Alley? I own them all. And all were penned between 1888 and 1912. There is something magical about those books. They take me someplace special. So after a lifetime of writing non-fiction, when I finally sat down to write my own middle grade novel, I wondered if I could make that feeling work for me? What were the qualities that I loved in these very unfashionable old-fashioned books? The simple, compelling stories: Heidi at the mercy of her selfish aunt; Mary Lennox, suddenly snatched away from her privileged life in India and thrust into a cold, lonely mansion on the moors of England; Jim Hawkins, alone at sea with a vicious bunch of pirates; Anne, not the boy who was ordered by the Cuthberts; Kim, a half-cast alone in a frightening world of secrets; all simple but dire situations. And frankly, they're not so different from the situations we see today. Young children are still prey to the whims of more powerful adults, and even other young people. They must learn to negotiate relationships and create places of safety for themselves, just as these early 20th century characters did. The Characters: As a result of the society they lived in, the young people in these books were bound by more rules and mores than characters in contemporary novels. As a young reader, that made them exotic to me. Without the freedom I was accustomed to, I marveled that they still seemed so fully drawn and that they were able to maintain any sense of independence and self respect. And yet, of course, they did. Like Sara Crewe in The Little Princess who as the wealthy young school girl, bathed in luxury, warned her friends that you cannot know if you are a princess until you are tested by adversity. The struggles of the characters in my old fashioned books are as real today as they were when they were written. The descriptions: “The valley lay far below in the full morning sunshine. In front of her Heidi saw a great wide field of snow, stretching high up into the deep blue sky; on the left stood an enormous mass of rock, each side of which stood a higher tower of bald, jagged cliffs rose into the sky a and looked very sternly down on Heidi. The child sat as still as a mouse everywhere there was great deep stillness; only the wind passed very softly and gently over the tender bluebells and the radiant gold rock roses which were everywhere gaily nodding to and fro on their slender stems. “ Heidi by Joanna Spyri. Not that I can compare myself to these beloved writers. But I wanted to remember how much I enjoyed traveling to the places they depicted. There is a place for descriptive writing in today’s literature. The style: There’s no question that readers put up with more pedantry a hundred years ago, even young people. So The Birds’ Christmas Carol for all its charm is apt to seem very wordy to most young readers, as will Girl of the Limberlost and Daddy Long Legs. But the better-known classics of this era moved right along. Certainly, my plan was to make that happen in my novel with a minimum of fuss. My goal: a good story, with characters one could like, who would grow and change, and whom we could admire for their ability to overcome injustice and incredible odds. At the same time, I wanted to introduce readers to a different world, one with pleasures that might be more simple, but that was filled with challenges as equally complex as the world we know today. So in the end, I went back to the computer, plotting in the present but inspired by the past, allowing Lia and the three Carrin brothers to make their way down the rural roads of England in a Gypsy wagon without a single werewolf, shapeshifter or superperson in sight, their creator still hoping that good storytelling, no matter the subject, never goes out of style. Sally Barlow-Perez openly admits that books have taken over a good chunk of her life. She gobbles down two or three library books a week, ranging in genre from young adult, to middle grade, to fantasy, to mystery. She tries to balance her book obsession with writing, hiking, and hanging out with the young people who inspire her. But no matter how hard she tries, she always comes back to books. 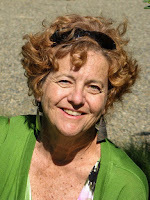 As a fiction writer, Sally’s focus is curiosity. “Curiosity is a great excuse for writing, as well as for reading,” she says. “Even when I finish a book, I still wonder what the characters are doing!” Sally makes her life in Palo Alto, California. She has two grown sons, whom she believes to be her greatest contribution to mankind. The Unintended Runaways is her first middle-grade novel. For a girl who loved adventure, twelve-year-old Lia Leonides had the perfect life. Every summer, she and her grandfather traveled the rural roads of England in their gypsy wagon, stopping at fairs and selling horse brasses along the way. It was exactly the life Lia wanted, until the day a mysterious letter arrived. Lia’s grandfather warned her not to get her hopes up, but lifelong dreams are hard to ignore. Lia’s father was alive and looking for her. But when her grandfather suddenly passes away, Lia is sent to work as a servant in an orphanage and is left with a choice that she never wanted to make: let the world decide her future for her, or run away and decide it for herself? Lia, with the help of her beloved pets and some unexpected friends, must take her gypsy wagon south on a harrowing journey before her father disappears forever. A persistent sheriff and the constant threat of misfortune won’t make the trip easy, but Lia and her friends don’t plan to let anything stop them from forging their own destinies. I LOVE this post! I too, admire Victorian writings and had to temper the verbosity in my own head to make my stories more modern. My idols from childhood (in the 1950s-60s) were 1800-early 1900 writers like Anna Sewell (Black Beauty), and Margaret Marshal Saunders (Beautiful Joe). I think we tend to underestimate our young readers, thinking they need simpler descriptions and phantasmagorical characters, when often, a simple girl or curious boy or a vulnerable dog will do the trick. Thank you to Sally for this articulate explanation about what makes a book a classic--it doesn't always need flash and gore.